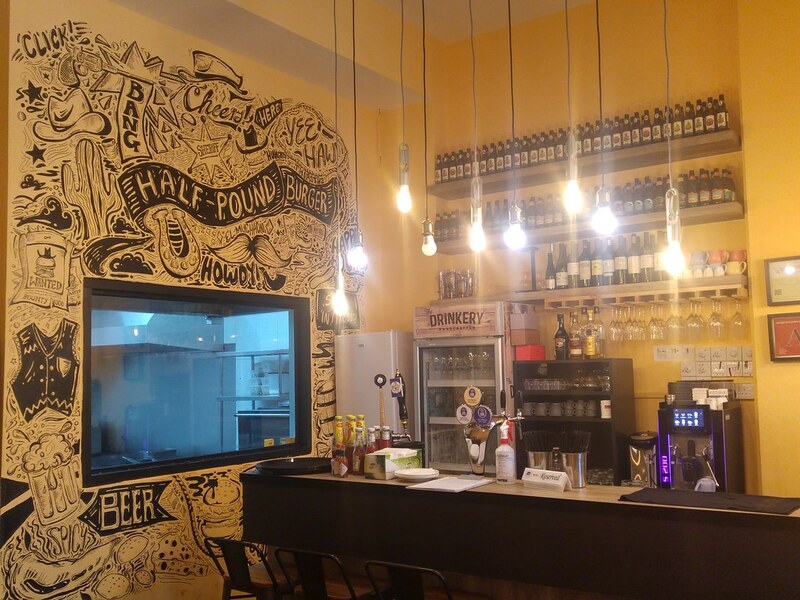 Half Pound Burger Bar & Grill at Purvis Street is a much needed update to both our burger joint scene and that particular stretch of shophouses. 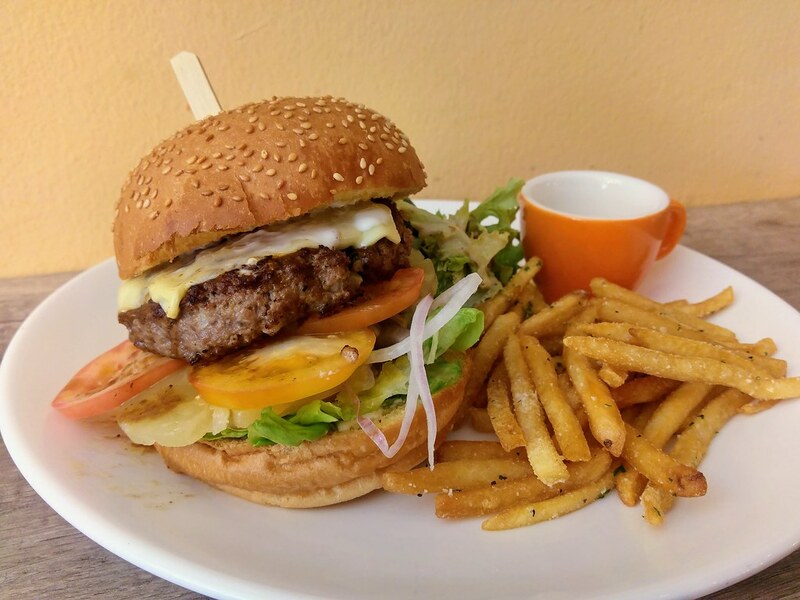 Do not expect anything fancy, but down-to-earth quality burgers, basic grills, and of course the quintessential beers! We started off with Crispy Wild Mushroom ($12) to get our jaws moving. Each shimeji mushroom stalk is juicy with a thin crust perfumed with truffle oil and spiked with parmesan cheese. The signature butter sauce really compliments this finger food, binding the flavours together. The soup of the day was Beef Goulash ($8). 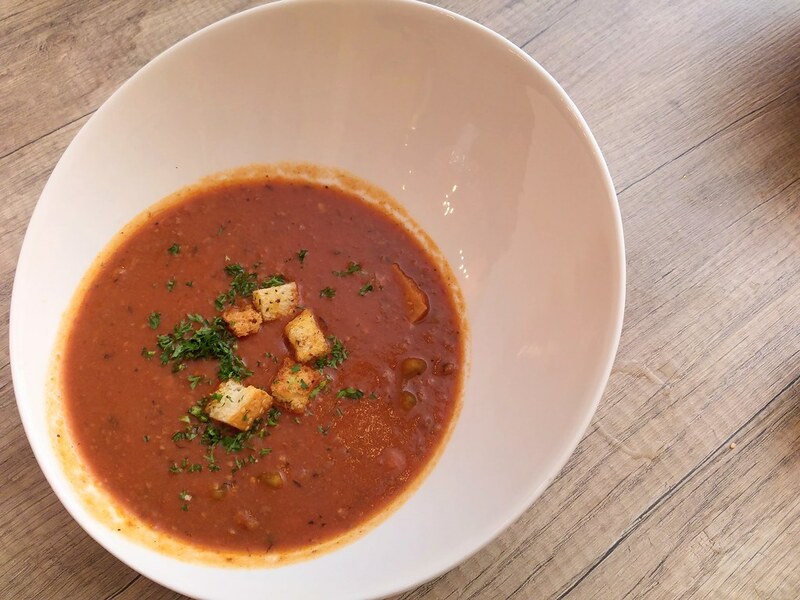 Made with tomato base with beef chucks, I love the fact that it is essentially a comforting, light-on-the-stomach kind of soup but fortified with wholesome protein which lend meaty flavours to the soup. Great puree kind of consistency as well. 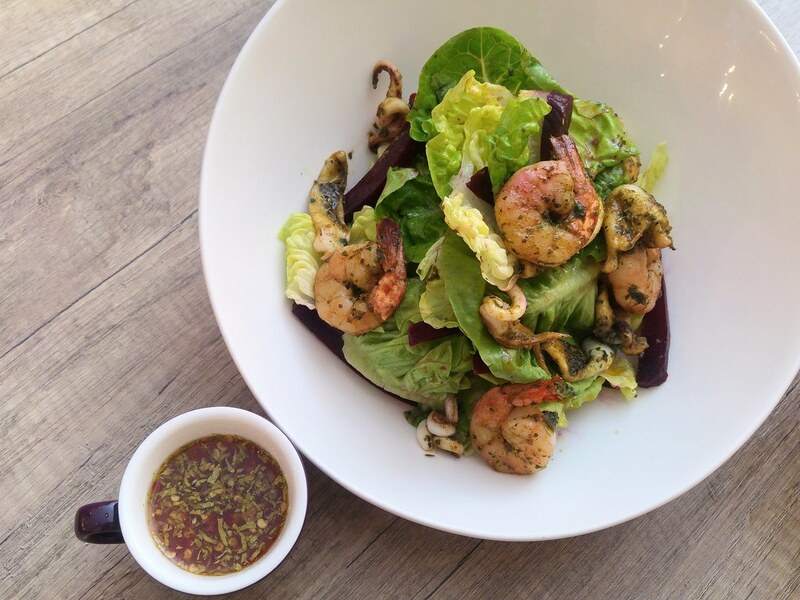 Seafood Salad ($16) is a simple warm salad with freshly grilled squid & prawn. Not your usual frozen seafood, hence, both squid and prawns are succulent and firm. 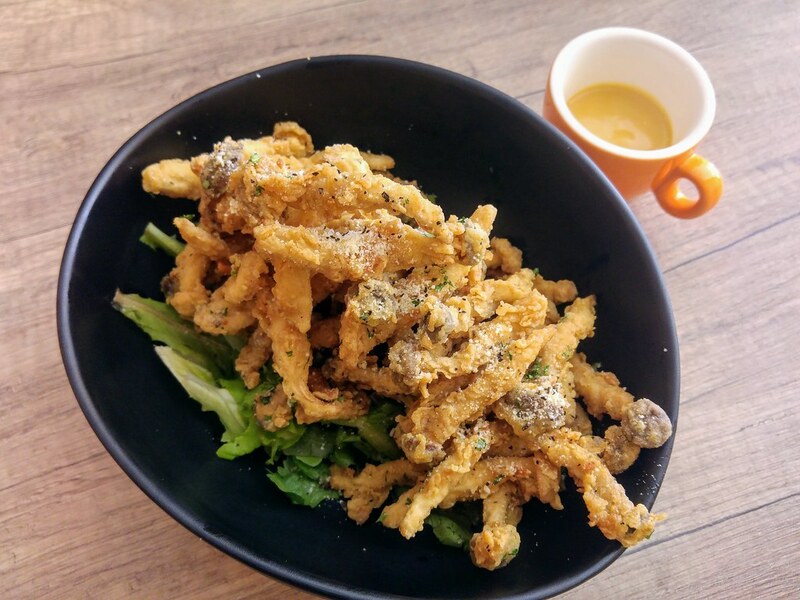 If you like fried calamari, I would recommend their Salt & Pepper Squid, which is made from scratch and not from frozen squid rings. 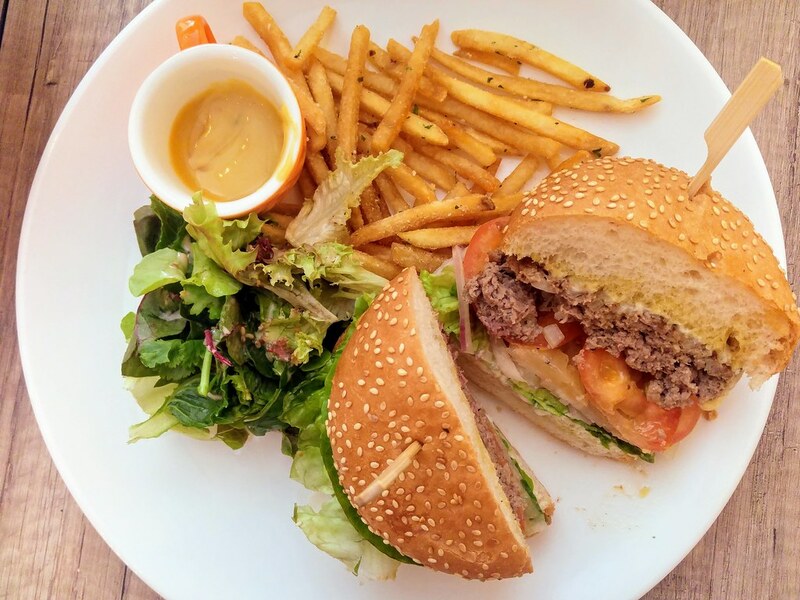 While its signature Half Pound Burger stays true to the American style, the Gourmet Burger ($26) caters to those seeking for something a lot more indulgent - 220g worth of Foie Gras mixed-in beef patty. Laden with fats and flavour of the foie gras, the patty indeed has a much richer mouthfeel and taste. But it could be slightly too gamey if you ain't a fan of foie gras. What I appreciate most is the toasted bun. It's airy and light, yet the crust of both sides is buttery. The crisp and crunchy raw onion rings does a good job in lending freshness and sharpness to the overall taste. Although the whole idea behind it is that you get to taste foie gras in each bite, I thought one might miss the excitement of seeing it physically sitting on top of the patty when served and the joy of spreading it like butter. 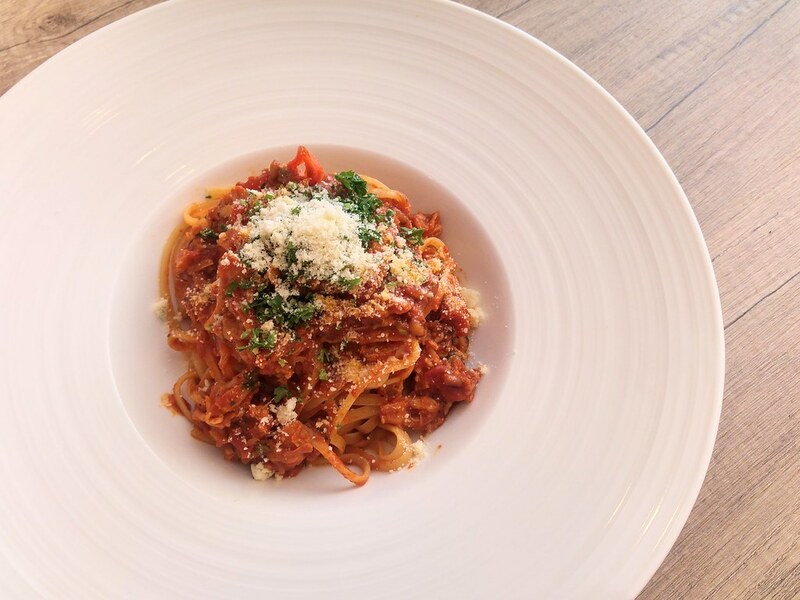 Crab Meat Linguine ($20) is a tomato based pasta. The sauce has a deep, rich tomato flavour, edged with an elusive heat and earthy flavour lent from red chilli. Slightly piquant and savoury, it brings out the flavour of the sweet Crab claw meat. The meat is not loose or mushy, but firm to the bite. 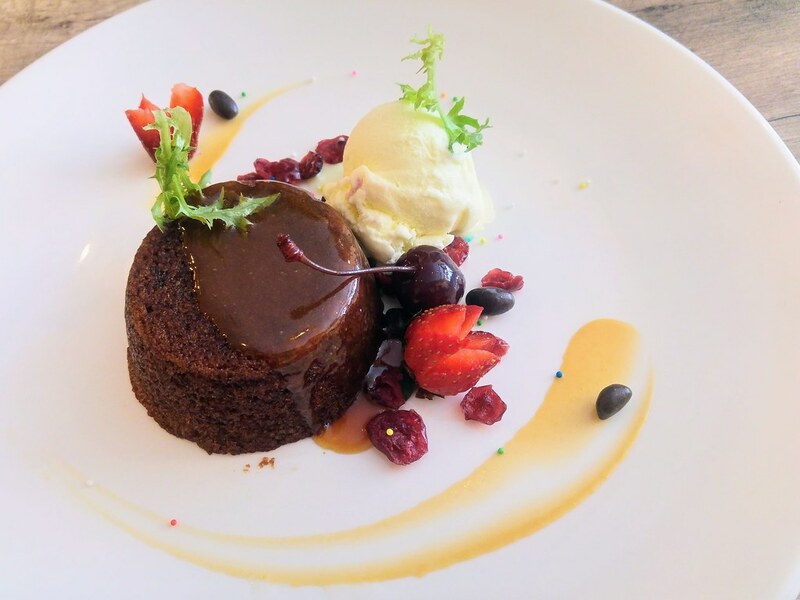 For something sweet but not too heavy to round up our meal, we chose Sticky Date Pudding ($8) over Chocolate Lava Cake, and I glad I did! Lightly glazed with homemade caramel, the pudding is just as comforting as a rustic apple pie. Its mellow sweetness may just make you crave for more.